Police are asking some residents in west suburban Aurora to stay inside their homes due to a barricade situation. 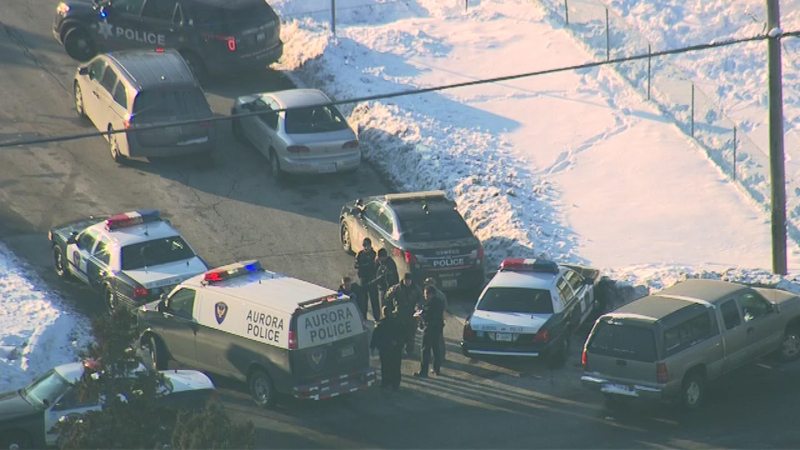 AURORA, Ill. (WLS) -- Police have taken a 19-year-old man into custody after an hours-long barricade situation in Aurora on Friday evening. Police said the suspect ran to a friend's home in the 1100-block of Homer Avenue after he was involved in a shooting in Montgomery. Police said he was taken into custody without incident at 7:20 p.m. Friday. Police are questioning a man and a woman who left the home while the suspect was barricaded inside. Police said they were not being held as hostages. The Montgomery and Oswego Police Departments, the Kane and Kendall County Sheriff and the Illinois State Police responded to the incident.